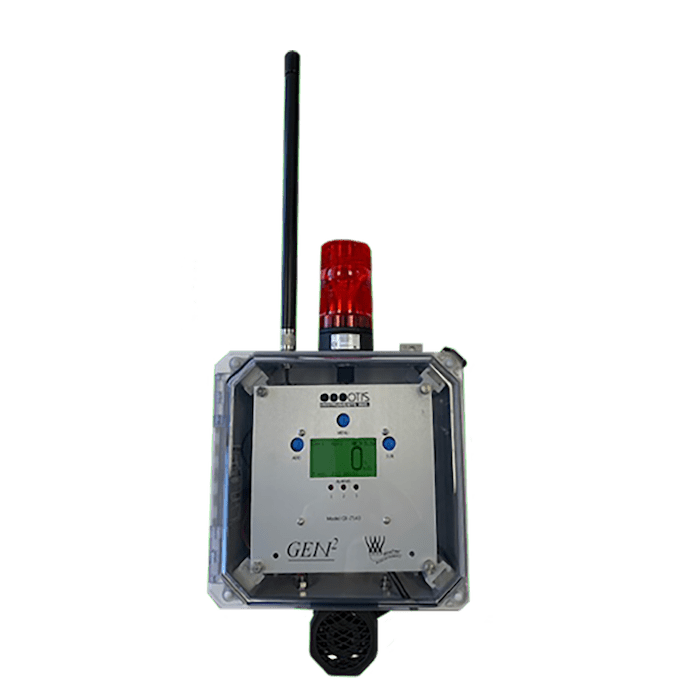 The Otis Instruments OI-7543-6 six channel Gas Monitor with 3 Dry Contact Relays can monitor up to 6 individual GEN II WireFree Gas Detectors and Transmitters. An RS-485 Modbus output allows for data communication to a PLC or other system monitoring device. The OI-7543-6 is available with an optional WirelessHART® module that allows the received sensor readings to be viewable on a WirelessHART® network. Standard DC or optional AC power options make this monitor a great addition to your gas detection network.